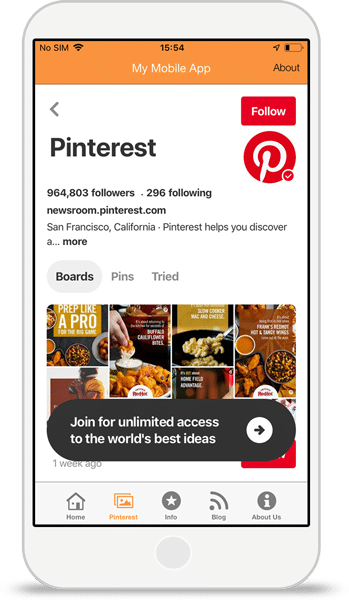 Beautifully display your Pinterest feed inside your app to increase engagement and grow your audience. Select the template that best fits your app needs – or start from scratch. Our branding wizard will automatically create colour schemes based on your website URL. Select the Pinterest tab to display your boards within your mobile app. Launch your new Pinterest integrated app with our simple publish wizard.